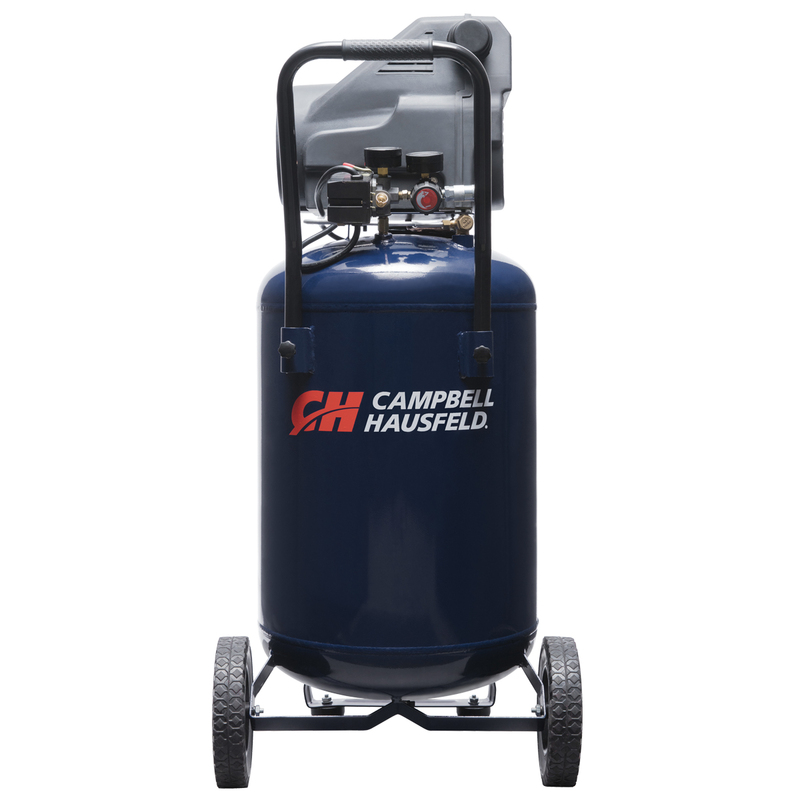 The Campbell Hausfeld 20-gallon, vertical air compressor (DC200100) is ideal for DIY users and contractors. A powerful induction motor is designed to deliver up 10 times longer life and drives an oilless, maintenance-free pump. 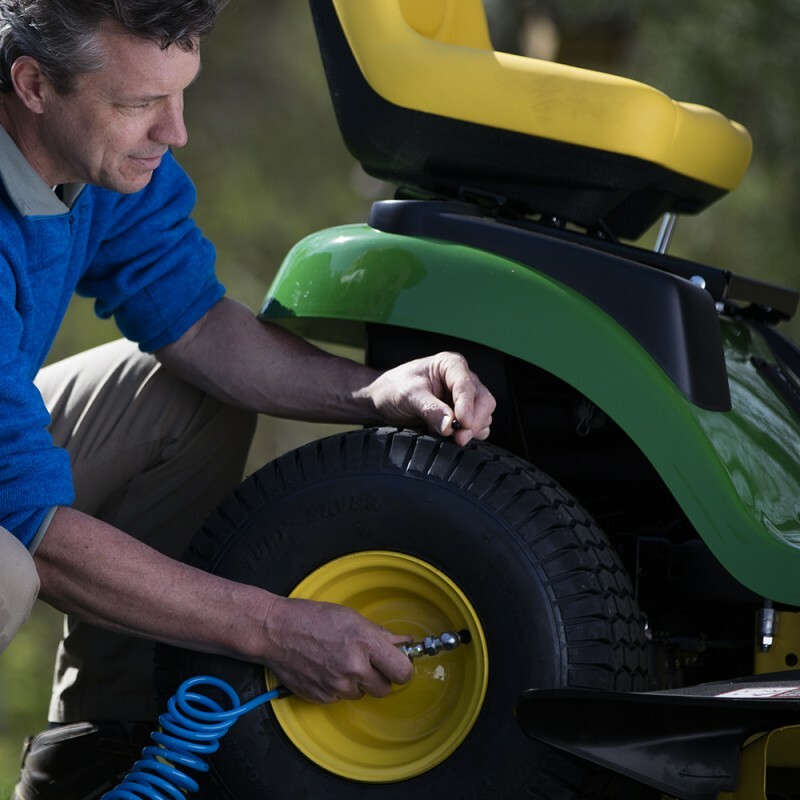 Easy-to-read gauges are placed to allow convenient monitoring of air pressure. 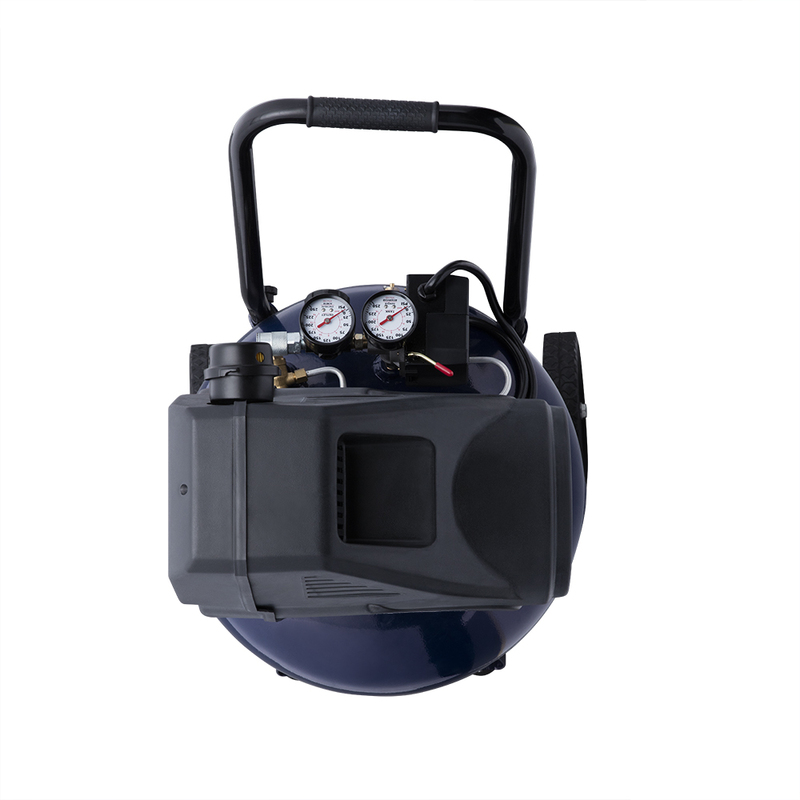 This air compressor can be used for a wide variety of pneumatic jobs, including automotive projects requiring impact wrenches and air ratchets, plus many home projects needing air nailers, air staplers and spray guns. 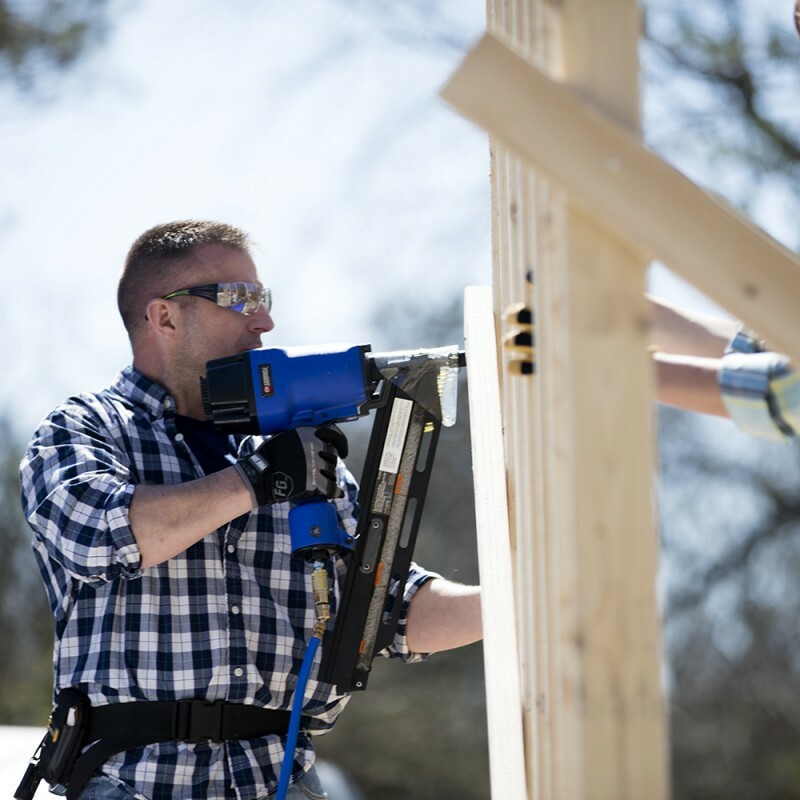 Use this versatile air compressor for framing walls, building cabinetry, installing decking, general carpentry, roofing, home exterior painting, painting furniture, craft projects and more. Operates on 120-volt household current. 150 Max PSI, 4 CFM @ 90 PSI. I've had this compressor for a couple of years. It works great. I would definitely buy it again. Purchased from Walmart for $189, you can't beat it for the price plus I have always had good luck with Campbell Hausfeld tools. 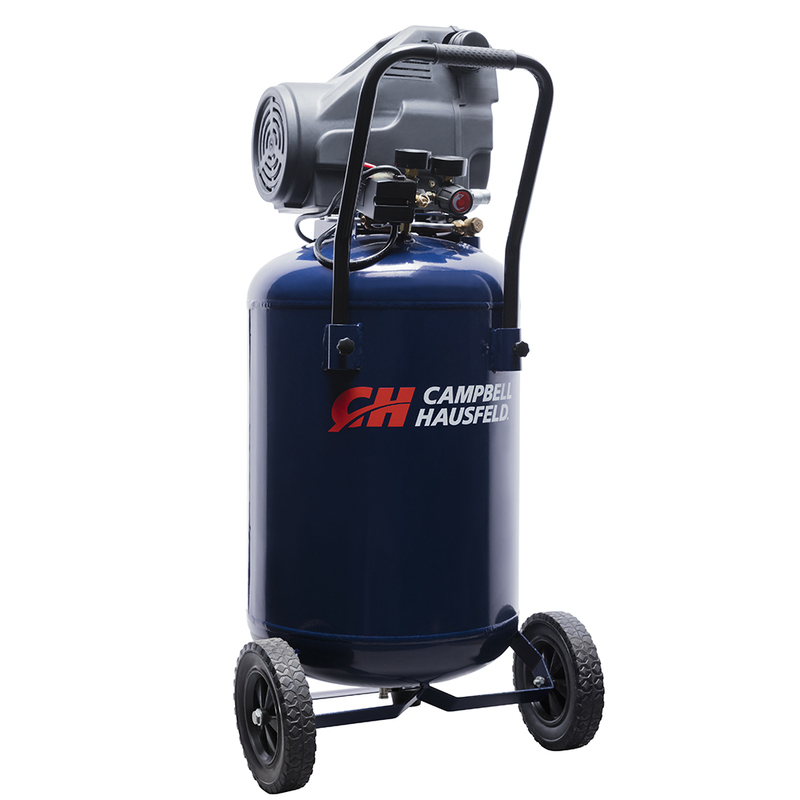 My Uncle is still using a Campbell Hausfeld compressor that was purchased in the late 70s. Okay, but not great. Its fine for blowing, fine for running an air impact. The pump is underpowered for anything more air intensive. Air ratchet works, but slowly and uses the air quickly. Sander and HVLP paint gun need a stronger, quicker pump or bigger tank. Another thing, the pump is LOUD. I can't run it in my enclosed garage or with any interior doors open. Its too loud and annoying. Thats one of the pitfalls of an oilless, electric compressor. If you need something more air intensive, this is not the unit for you. Decent unit. Compressor is quite loud though, and I haven't been able to find a way to quiet it. Takes quite a while to fill the tank as well, so your neighbors will hate you after a while. Also rather loud when draining the air. Doesn't hold 150psi when turned off, tends to drop to around 125psi. Considering most tools require 90psi, thats fine, but definitely something to be aware of. 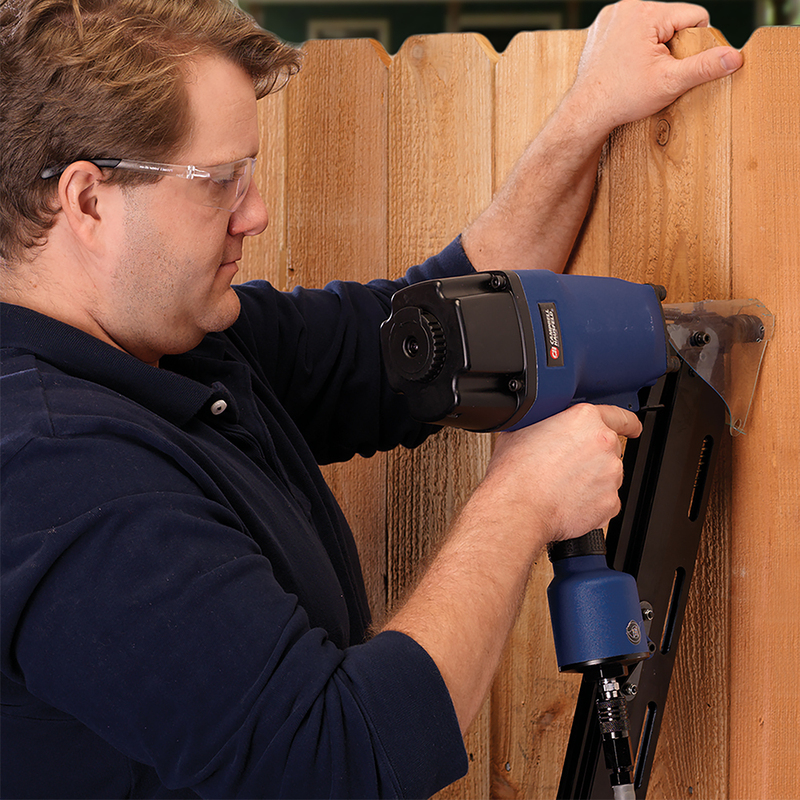 The compressor also runs constantly when using most tools. All in all, a decent compressor if you get a good price on it, but I certainly wouldn't pay anywhere near list for it. The motor is vastly underpowered for the tank and you can do better for list price. Like compressor but wheels warped out of box and company won’t respond to email ! So as of right now can’t recommend! Also called but associate wanted serial number but hasn’t emailed me back.